Communication Objectives: This lesson will teach kids to introduce themselves and greet people the first time they meet. Watch the dialogue and learn. Language Objectives: To learn to use expressions related to self-introductions and greeting someone for the first time. Dialogue Story: A new family is moving into a Freddie's Ville tree house. 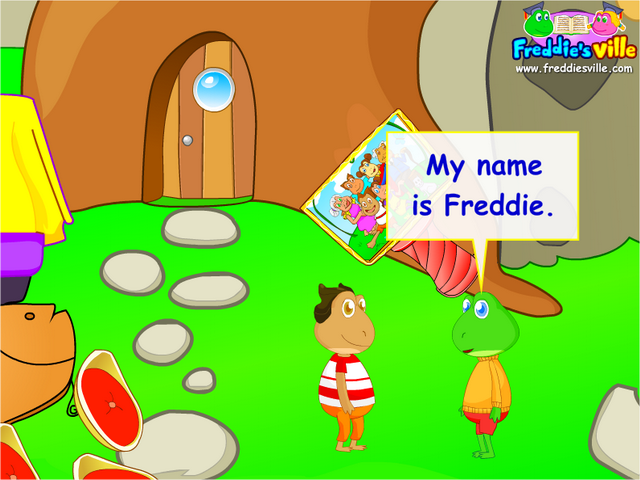 Freddie and Lisa go over to introduce themselves and make a new friend. Nice to meet you, Bob. Nice to meet you too, Freddie.